7th Edition: Bigger, Better, Bolder. The Prepaid365 Awards are the UK’s definitive consumer Prepaid Card Awards where votes are cast by those who matter the most – Consumers. Launched in 2009 by Prepaid365, the UK’s leading dedicated prepaid card comparison site, the awards are designed with the simple aim of recognising best in category service providers for various consumer & business prepaid categories as well as highlighting runner’s ups in those categories based on consumer opinion. 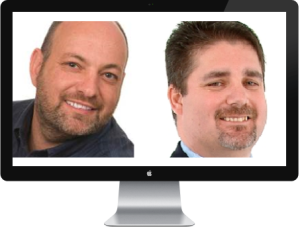 Making the Prepaid365 Awards 2015 the most comprehensive & representative dedicated consumer Prepaid Awards . The 6th edition of the awards received 158 Entries across 22 Award Categories with over 574,000+ consumer votes with Virgin Money, Net+, Ukash, Travelex, Amazon, easyJet, EE, Fisher Price, Ffrees, WEX Europe, My Travel Cash, Pockit and ICE as some of the leading winners! Available in different formats to be used in marketing collateral, on websites and in email communication, Prepaid365 Award Winner badges are the ultimate badge of honour, approval and endorsement from consumers! Consumer categories are decided purely on consumer votes and business categories by Prepaid365 subject matter experts and independent payment industry adjudicators based on entries received along with feedback received from clients, consumers, suppliers and schemes! With 8 new Award categories being introduced, there are now 23 Consumer Award Categories, 2 Business Award Categories and 5 General Award Categories where winners will be recognised at the Prepaid365 Awards in 2015. Industry Reviews: We Love the Prepaid Industry, And They Love Us. 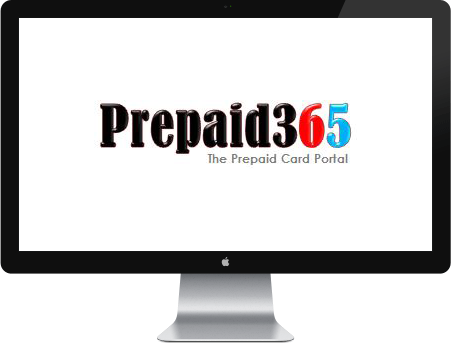 We are dedicated to enhancing consumer knowledge of prepaid cards and over the years Prepaid365 has functioned as an excellent resource and reference for all things prepaid for consumers and businesses interested in the prepaid proposition. The Prepaid365 Awards provide an endorsement like no other from those who matter the most – Consumers. 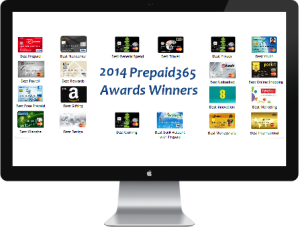 Check out what the industry is saying about Prepaid365 and the Prepaid365 Awards! Danny Chazonoff, Chief Operating Officer at Optimal Payments (2013). To receive the accolade of Best Prepaid Card Overall in the Prepaid365 Awards is just fantastic. This award is voted for by consumers, so that makes winning even more special for us. At Virgin Money we are continuing to build a range of products and services that offer choice and value for money for the customer, and to be named winner of Best Prepaid Card Overall helps to demonstrate that we are doing just that. 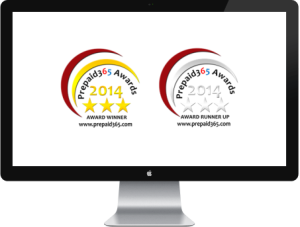 PFS are delighted to win 6 different categories at this years Prepaid365 awards. This is the 4th year in a row where our products and programmes have been recognised. The winning programmes cover 5 different countries which shows how far prepaid and PFS have expanded in the last few years. It is always great to be part of these awards and we look forward to competing again next year. We’re delighted to have been awarded the ‘Best Newcomer’ title for The Euro Currency Card by easyJet. Thousands of customers have chosen the card since its launch last May. It offers real savings with no ATM or transaction fees and the added peace of mind of Visa Chip and PIN security, making it a popular choice on easyJet.com. We’re thrilled to be recognised by Prepaid365 for our commitment to providing travellers with an easy, secure and affordable way to spend money in Europe. It is fantastic to once again be recognised as the top B2B prepaid card provider for small programmes. We work tirelessly to develop our corporate payment solutions and to help our clients transform the management of their payments with employees, suppliers and customers. This year we have particularly focused on the travel sector developing an effective and innovative solution, which has benefited customers greatly, through automation, reconciliation and cost reduction. This award is fantastic recognition that we are delivering solutions that are not only making a positive impact on our clients’ businesses but are recognised by industry peers as best in class. We are thrilled to have won the award for best travel prepaid card and to be acknowledged again at the Prepaid365 Awards by our customers. As the world’s leading foreign exchange specialist, Travelex has a strong track record of finding innovative ways to help people spend and send money abroad, so we were delighted to receive the award for our Multi-currency Cash Passport. A special thank you to all our customers who took the time to vote. The Prepaid365 Awards continue to grow in stature across the globe. As a previous award winner and sponsor, T24 Prepaid is proud to be a sponsor for the second year running at the 5th edition of the Prepaid365 Awards in 2013. APS are delighted to win three consumer awards this year. I’m very proud of our team as we continue to listen to our customers’ needs and build better products for them. We never will stop innovating as we constantly look to reward our customers with more product capabilities than any other payment solution on the market. It’s also great to have Prepaid365 to support awards where the consumer chooses winners not just industry experts as its those consumers who really know what the best products are as they are the users of them every day. Kudos to the Prepaid365 team for assisting in promoting the whole notion of prepaid, still a sector that isn’t highly promoted within financial services. After winning various awards since 2009, ClearCash are delighted with these accolades and gives more determination to improve the product as well as assist our cardholders to give them financial peace of mind as well as participate in various social media activities that we carry out. We look forward to entering in to the 2015 awards! We are extremely proud that the Virgin Money Pay As You Go prepaid card has won so many awards. It particularly means a lot, because our customers voted for us. The card offers customers a way to manage their finances and make all types of purchases whilst being rewarded for their spend. It is another way that Virgin Money make our customers better off. Prepaid365 are great for the industry as they provide customers with a one-stop-prepaid-shop to help them choose the right card for their needs. ENTER THE PREPAID365 AWARDS 2015!